We believe – to paraphrase Nick Murray – that beating an index is not a financial plan. An investment portfolio in and of itself is no substitute for a carefully crafted plan. 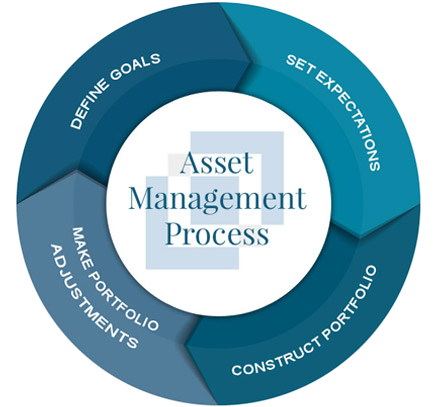 Our Private Wealth asset management process is tailored to your time horizon, tolerance for risk, income and liquidity needs and goals – with the objective being to craft investment portfolios that coordinate with and complement the other elements of your financial plan. An area too often overlooked by investment-only advisors is the location of assets across different account types. Are your tax-inefficient investments, where possible, held within your tax-qualified accounts? Are you utilizing low turnover and/or tax harvesting strategies in your taxable investment accounts? The current marginal income tax rates and surtaxes only serve to heighten the importance of prudent asset location. We believe that a well-balanced, diversified portfolio tailored to your risk tolerance, time horizon and financial goals may help protect your purchasing power and generate competitive returns while minimizing risk. Several leading capital markets studies have shown that asset allocation is the single most important determinant of long-term portfolio rate of return*. We implement diversified, institutional-quality investment portfolios utilizing best-of-breed institutional asset managers, boutique investment firms and/or passive (index-tracking) investments where appropriate. It is our role to select investments that best suit your objectives, risk tolerance and values. *Gary P. Brinson, L. Randolph Hood, and Gilbert L. Beebower, Determinants of Portfolio Performance, The Financial Analysts Journal, July/August 1986. Asset allocation does not guarantee a profit or protect against loss in declining markets. There is no guarantee that a diversified portfolio will outperform a non-diversified portfolio or that diversification among asset classes will reduce risk.